Tomato sauces There are 24 products. Traditionally it is tasted with spaghetti strong>, but try it with paccheri ... the perfect wedding! 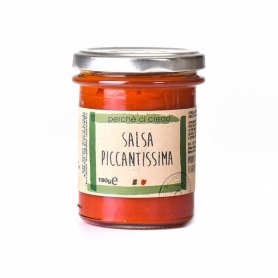 The puttanesca sauce strong> is a typical dish of Neapolitan cuisine and Roman cuisine (with the addition of salted anchovies). Perfect with classic spaghetti. 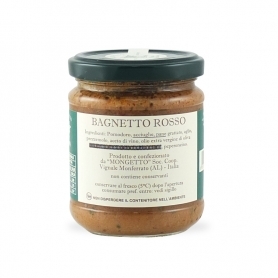 Also excellent as a base for swordfish or fillets of plaice, excellent for short pasta! Soft and tasty, just heated in a pan with the addition of fresh basil and grated cheese to taste, a must try! 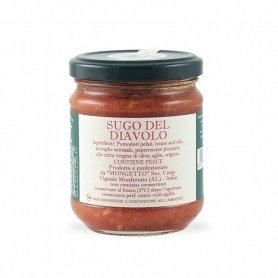 Excellent as a condiment for pasta dishes based on pasta, try adding the pillow. The Piedmont ketchup. For its strong flavor and slightly spicy is a suitable sauce to accompany dishes of red meat. Tomato, tuna, anchovies, garlic and hot pepper sauce ... a paradise! Stir and pour into the pan with the pasta! 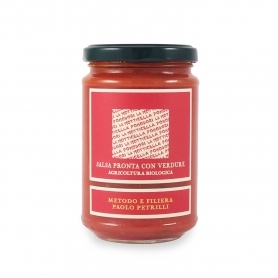 Ready sauce with strong ricotta to discover the true taste of Salento.